Bathing a dog too often can dry out his skin and coat, but what are you supposed to do in between baths when your pet starts smelling a little funky? Using some of the best dog grooming wipes will clean and deodorize your dog without you having to give him a full bath. They are easy, convenient and very affordable. Personally, I use dog grooming wipes to clean my pet's paws when he comes back home from the muddy outside. The wipes can also be handy to keep in your doggy travel kit as something to replace full on bathing of a dog when there's no way to do it. If you have a set of the best dog grooming wipes that are hypo-allergenic to dogs, that will not dry out your dog's skin and either have no scent or a scent that makes them smell good, these can be extremely convenient to have. What can you use these for? Pretty much anything you use wipes for on yourself – cleaning and deodorizing. You can remove stains, wash your dog using grooming wipes, make your pet smell fresh and clean. They're perfect after walks, before getting into a car or any other situation where you don't have to have a dirty dog around but cannot give your pet a bath. What makes a good pet grooming wipes? It's best when these are hypo-allergenic and alcohol-free. The best dog grooming wipes will work great even for pets with sensitive skin, and may contain lanolin for the pet's shiny coat. They will moisturize the skin and destroy the source of pet's unpleasant smell. Can you use baby wipes instead? Definitely not! Many people think grooming wipes for pets are the same as baby wipes. While similar, the best dog grooming wipes are specifically formulated to be safe for dogs, and baby wipes are not. Most baby wipes will contain a substance called Propylene glycol – it's toxic to dogs. So unfortunately, while these may work as baby wipes, we cannot use them on pets. I recommend reading more about propylene glycol on DVM360. Need antibacterial wipes for dogs to treat fungal and bacterial infections? Then these grooming wipes are not going to work. See the best antiseptic wipes for dogs instead. Many pet owners refer to their pets as their “babies,” so although these wipes are meant for human babies, it makes sense that they would work for pet babies too! These wipes from Johnson's are gentle and contain no alcohol. They are tear-free, making them a great option for pets with sensitive skin. These best dog grooming wipes are packaged in a convenient re-sealable container, so they won’t dry out and are great for on-the-go pet owners. Although most reviews are obviously from parents of human babies, mostly everyone can agree that these are great for sensitive skin. White dogs can look clean without daily baths, and muddy or dirty paws are no longer an issue. Many customers note the great, clean scent of Johnson's Baby Hand and Face Wipes and they always keep them on hand for quick wipe downs. Some are unhappy with the long list of ingredients and chemicals in these wipes. The scent may be too strong for some, but most people were very happy with the fresh smell it gave their pet(s). These wet wipes are a great option for in between baths. These wipes from DermaPet are specifically made for cleansing around skin folds for both dogs and cats, but may be used for animals that have a dislike for frequent bathing. 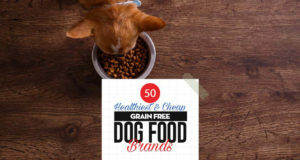 Ordering this product on Amazon tends to be much cheaper than what can be found in most specialty pet stores, so be sure to price check before ordering for the best deal! Extra-wrinkly dog breeds like bulldogs may benefit from these wipes, as customers say they kept skin irritations and bad smells at bay. Most customers agree that the wipes have a pleasant scent with no trace of chemicals or alcohol. If you have a small breed, some customers recommend cutting DermaPet MalAcetic Wet Wipes/Dry Bath wipes in half to get twice the number of wipes for the same price. Some reviewers mention that the smell of these wipes is far too strong, describing it as fake and citrus-y. Some of the customers who don’t mind the odor mention that their dog was not happy with his new scent after being wiped down with this product. Others say that it is too sticky and may irritate extremely sensitive skin. These cleansing and deodorizing wipes by Petkin provide a quick, easy way to keep cats and dogs clean. They contain no alcohol and are non-irritating, so they should not dry your pet’s skin out. These wipes are safe to use on puppies and kittens because they are non-toxic and veterinarian approved. They contain aloe vera and help to sooth itching, and extra cleansers ensure messes and odors are easily removed. Customers are happy with the fresh scent of these wipes, claiming they do not smell overly perfume-y. Although they are “tushie” wipes, they are used by many to freshen their pet’s muddy paws or even entire body. As expected, those who do use Petkin Tushie Wipes for their true purpose are extremely happy with the ease of use and results. Some say that these wipes are thinner than they had hoped, but, for the price, they can justify using more than one to double up the thickness. Although most are extremely happy with the product, the packaging could be more efficient. Rather than being designed similar to a tissue box, these wipes are simply folded and stuck together, making it difficult to pull only one out at a time. These wipes claim to be 33% thicker than most available brands and, at 8” x 8” are large enough to bathe even the largest of breeds. The aloe vera and other unique ingredients in these wipes from Park City Pets are said to provide a soothing sensation for pets. These best dog grooming wipes are both hypoallergenic and antibacterial. They are a quick, easy solution to keep pets clean and manage dander. Pet owners can even use these wipes to clean their pet’s teeth, eyes, ears, and paws. Customers are pleased with the thickness of these wipes, and say that they are moist enough to work without soaking their pet. The ingredients do seem to soothe itchy, irritated, or dry skin, and pets genuinely enjoy being cleaned with Park City Pets – Dog & Cat Grooming Wipes. They are said to be great to use between baths, especially when dogs or cats are extra smelly after a day in the park or spending time outdoors. Those who expected this product to deep clean their pet are usually dissatisfied, but, it should be noted that it is not their purpose. Some customers wished that the wipes had more cleaning solution on them or were moister in general, as they think they may cover more surface area in this case. These all natural pet wipes are available in multiple scents and are 100% bio-degradable and cruelty free. These best dog grooming wipes from Earthbath are allergen free and contain all-natural conditioners, making them a great option for pets with sensitive skin. The grooming wipes are meant to wipe away dirt and odors with ease, and are a great alternative to too-frequent bathing. Pet owners may use these to clean dirty paws, undercoat, bottoms, and more. They remove dander and drool. These wipes contain aloe vera and Vitamin E, both of which are known to moisturize and soften skin. Dog owners love that they can use these without worrying about irritating their pet’s skin. The fragrance-free scent is a favorite among those who have tried many different brands, as it is not as harsh or strong as many other wipes available. Those who have used baby wipes in the past are far more pleased with Earthbath All Natural Green Tea Leaf Grooming Wipes, as they claim it does a better job. Some customers mention that they wish these wipes were more moist; however, cat owners are pleased with the fact they can wipe their pet down without a fight due to these wipes being less moist than some. Because these wipes aren’t as saturated as some others available on the market, reviewers question whether they do as good of a job as cleaning as other brands.